It's here. NC Beer Month is the place to be in April. 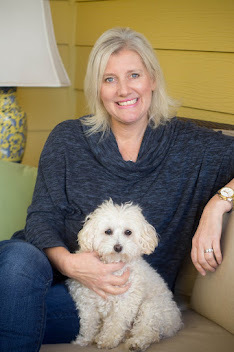 I learned recently that my home state is the sixth most visited state in the U.S. We have a gorgeous coastline, scenic mountains, a wine region in the Piedmont, the number one golf resort in the U.S, and lots of history dating back to the first colony. But now we are known for something else. North Carolina is becoming a star in the craft brew industry. We have about 100 breweries open right now, and more are opening this spring and summer. Beer events are being held this month throughout the state. 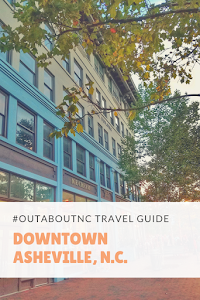 As a non-sponsored post with no ties to any particular destination or brewery, I thought it would be fun to tell you some of my favorite NC brews, and name a few events that may be good #outaboutnc travel destinations for you. I've come a long way with my beer drinking. In fact, I'm not sure I really liked beer 15 years ago. Someone probably handed me a Bud Light and well, that's just not craft beer. I don't think I need to say more on that. Through the years though, I've tasted my husband's craft brew stash, and have really developed a taste for it. For the record, he loves it when I go on a diet and I leave his stash alone. I buy my own beer, too and can sometimes be found in a craft brew specialty shop. I am not an expert like my friends, The NC Beer Guys, but I have a few favorites that I'm going to share. We ARE NOT drinking wine. We were at TASTE the Event in Durham, which will be held again this month. The glass given to you at the event is a wine glass. It's easier to carry around with your plate. Here I am with the NC Beer Guys, and they dress like that at every event so they are easy to spot when you see them. I don't know why I like these particular beers. I just do. I drink beer for the taste, and do not care about how it is brewed. You need experts for that so do check out the NC Beer Guys. Highland Brewing Co. in Asheville: I am a huge fan of the Oatmeal Porter and the Black Mountain Mocha Stout. I also like the seasonal brew, the Thunderstruck Coffee Porter. I met Oscar Wong several years ago at a Tasting Event when I first started writing. Immediately, I became a fan. I am so excited because I'm going to Highland Brewery for Beer Month this weekend when I experience the Downton Abbey package at the DoubleTree Biltmore. I don't think the Crawleys drank beer, but that's OK. I am adding this brewery to my experience. And, I will get Cedric's beer at Biltmore. I love that beer, too and recently learned that Highland brews it for the Biltmore. No wonder I raved about that beer on my last trip to Biltmore. Cedric's Beer can only be bought at Biltmore. FullSteam Brewery in Durham. Fullsteam is the type of brewery where I can say I love every beer that Sean Lilly Wilson produces. I've met the owner, Sean, several times now and have attended many events where Fullsteam is in attendance. To me, Fullsteam is like the RelaisChateaux Hotels in the beer world. It's just first-class taste and quality. Ironically, I first fell in love with The Working Man's Lunch, brew which is a nod to the working class Southern roots of our past where men would go to a gas station and get an R.C. Cola and a Moon Pie. Another brew I love is brewed just for Ashley Christensen's restaurants in Raleigh. It's Beasley's Honey White. And of course, the Fearrington House Restaurant, has Fullsteam make seasonal brews just for them. Don't judge, but any time I attend a beer event, I linger at the FullStream table. 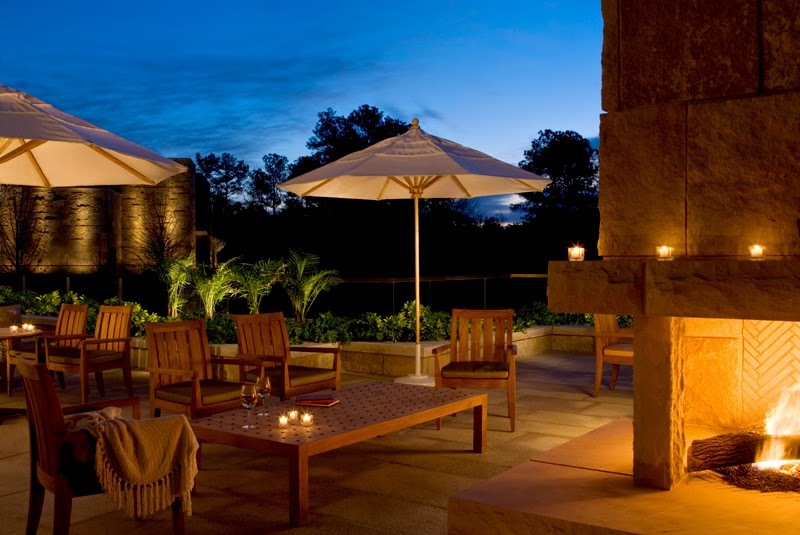 The Umstead Hotel and Spa Terrace will be great for NC Beer Month events. Umstead Untapped Series Events: My favorite hotel in Cary-Raleigh, The Umstead Hotel and Spa is hosting the Umstead Untapped Series this month with Raleigh Brewing Company on Sunday, April 19 and with FullSteam Brewery on Sunday, April 26, This will be one of the best and most relaxed beer events in the Triangle. The Umstead Terrace is awesome. Each event is $35 per person and includes a few savory bites from Herons. I don't have a lot of personal experience with Raleigh Brewing Co. so it would be nice to learn more about them, too. Also, pastry chef Evan Sheridan will have a special dessert beginning April 8 called the "People's Porter Cashew Chocolate Cake." This decadent brew is from Foothills Brewing Co. in Winston-Salem, and is Sheridan's favorite NC beer. 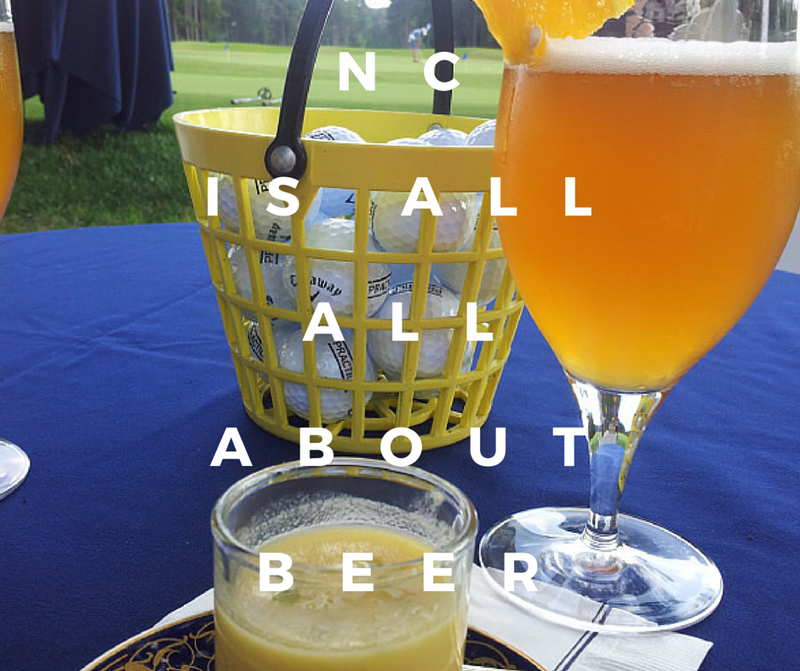 Spa Director, Carolyn Doe, shared a favorite DIY Beer Scrub featuring NC Beer with us last month. Aviator Brewing in Fuquay-Varina: I typically do not like an India Pale Ale. I don't know enough about beer to know why, but the interesting twist is that I like Aviator's Hogwild India Pale Ale. I also like their Devils Tramping Ground Tripel, but I never drink it outside of my home. The alcohol content is high and one beer is like drinking two. I learned more about Aviator at a special beer dinner at the Carolina Inn last year. Nothing could be finer than to be in Carolina in the fall. At @thecarolinainn tonight for the Aviator Brewing Dinner in Chapel Hill. Two fabulous beers to start. A pumpkin ale and an Hogwild IPA. Enjoying time with @durhamfoodie. Trophy Brewing Co. in Raleigh: This is my absolute favorite brewery in Raleigh. It's popular though and so hard to get a table these days. The secret is out on how good it is. I have liked everything I have tasted and the pizza is to die-for. I wrote about Trophy for Visit Raleigh this month. It's one of the few breweries in town that has a restaurant. See my list for Greater Raleigh breweries with restaurants. Mystery Brewing in Hillsborough: I have met the owner of Mystery Brewing several times, and even attended a beer dinner with him at the Washington Duke Inn. Will is a huge fan of Mystery Brewing, and loves every beer they produce. I'm a fan of Queen Anne's Revenge, named after Blackbeard's ship. Mystery Brewing also brews a special beer, Nanaline, for the Washington Duke Inn and it is one of my favorites. It's a great summer sipping beer by the golf course. Deep River Brewing Co. in Clayton: I have not been to Deep River Brewing Co, but I have tried several of their brews around town. I like what I've tried so much that I've gone searching for them locally. Clayton is about 45 minutes outside of Raleigh. You have to buy their brews at specialty bottle shops. Whole Foods and Harris Teeter will sell some in Raleigh, but the selection is better at the craft bottle shops. I am looking forward to trying their spring and summer brews, Cottontown Lager, and Double D's Watermelon Lager. 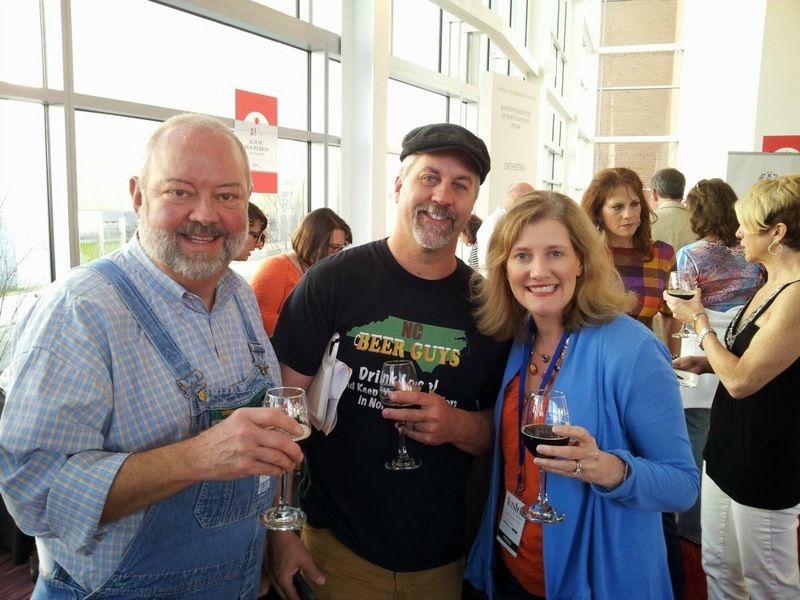 Brewgaloo is a great spring event in Raleigh, N.C.
Brewgaloo Festival in Raleigh: If you attend just one event during Beer Month, put Brewgaloo on you list. This is one of the best local beer festivals that gives you the flavor of most of our NC breweries in one place. 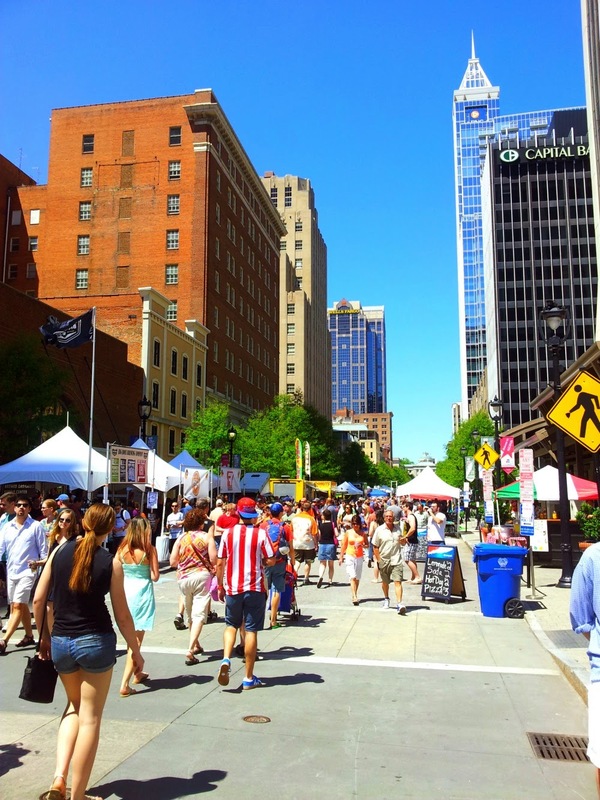 When I last spoke to the organizer, Shop Local Raleigh, 73 N.C breweries are are scheduled to be in attendance along with 50 food trucks and an assortment of live bands. The event will take place on April 25 in City Plaza. Get tickets here. Today's post is part of #IGTRAVELThursday. Please visit some of the other links to learn about travel around the world via Instagram. 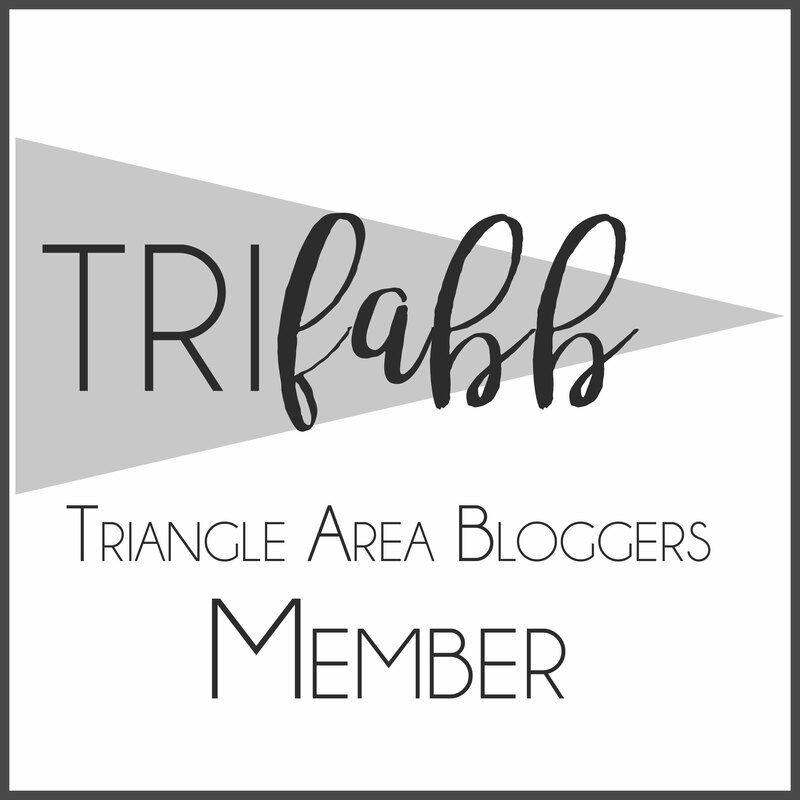 This hashtag was founded by my business partner, Skimbaco Lifestyle.